Motorola has launched the new Moto E5 Plus in India for Rs 11999. The device will be sold via Amazon and goes on sale on 11th July at midnight. The E5 Plus has a plastic body with a glass finish for the rear panel. 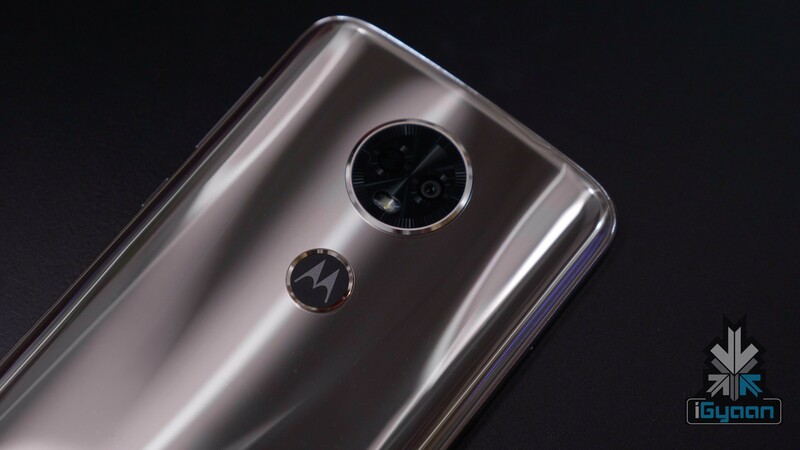 Surprisingly enough, Motorola still hasn’t opted for the notch trend. Regardless the phone maintains the 2018 display aspect ratio. 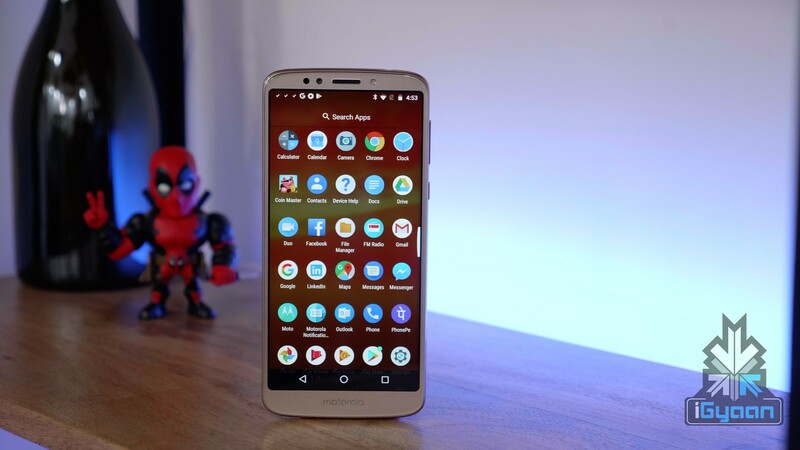 The Moto E5 Plus has a 6 inch IPS LCD panel with a resolution of 1440 x 720 pixels. The aspect ratio of the display is set to be 18:9, given that the phone has no notch. The E5 Plus runs on a Snapdragon 430 SoC under the hood which is a quad-core processor running at 1.4 GHz. The smartphone will be available in one variant only, with 3GB of RAM and 32GB of onboard storage with a dedicated microSD card slot for memory expansion. 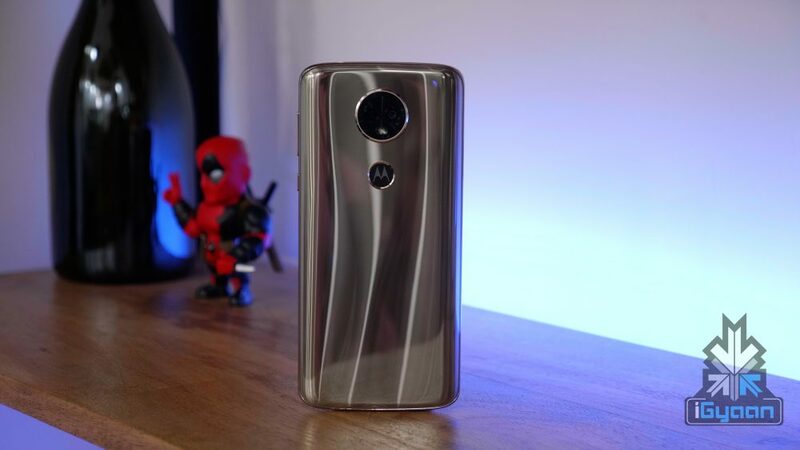 The fingerprint sensor on the Moto E5 Plus is rear-mounted and has the Motorola logo embossed into it which gives the sensor a unique look. The Moto E5 Plus has a single primary 12 MP camera with a f/2.0 aperture which allows you to shoot 1080p videos at 30fps. The secondary camera will be a 5MP camera with a f/2.0 aperture with a front-facing LED flash. The US version of the device will have an 8 MP secondary sensor. 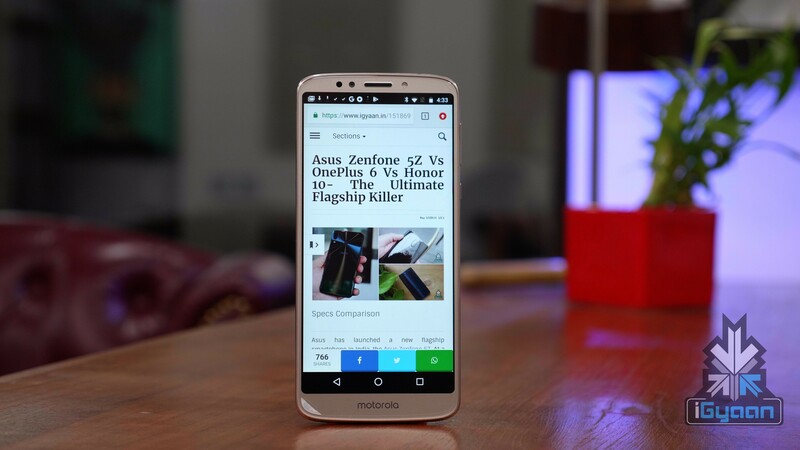 The Moto E5 Plus enters a market segment where smartphones like the Asus Zenfone Max Pro and the Realme 1 are already available, while the E5 Plus has a glass finish over a plastic body. Considering the price segment for which the device is being launched, the smartphone sure packs a lot of punches all the while cutting necessary corners. We already have an unboxing video for the device and will give a final verdict in the full review.